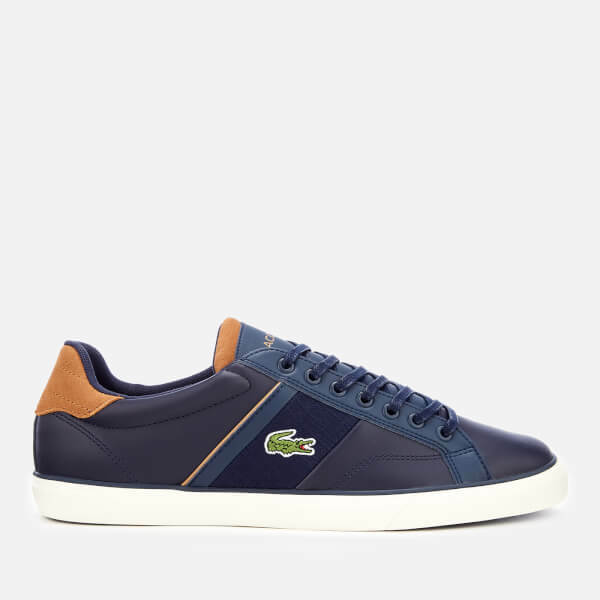 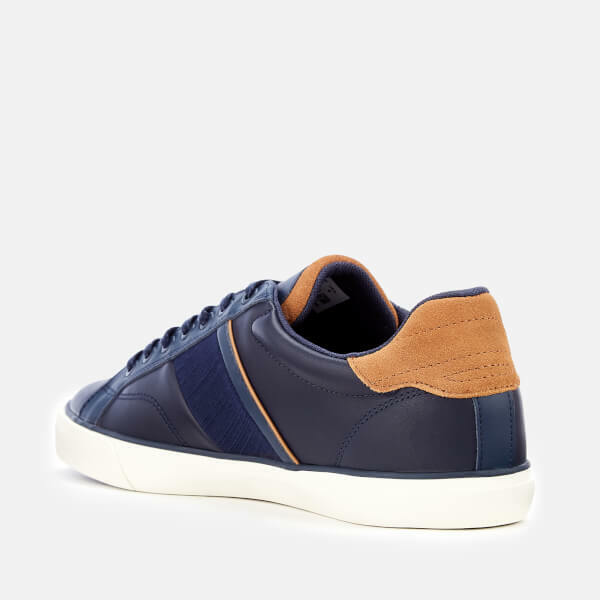 Navy leather low-tops with tan suede accents from Lacoste. 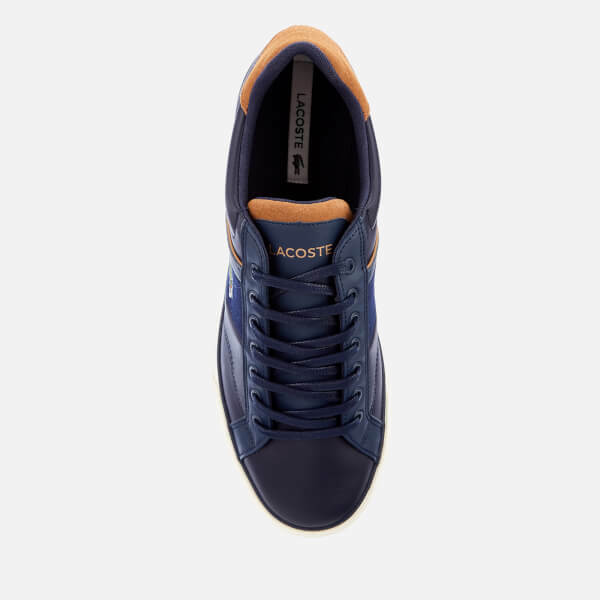 Set upon white vulcanised rubber soles, the two-tone trainers feature a round toe, seven-eyelet lace-up fastening with tonal waxed laces and a diagonal canvas stripe at the quarter embellished with light brown piping trim. 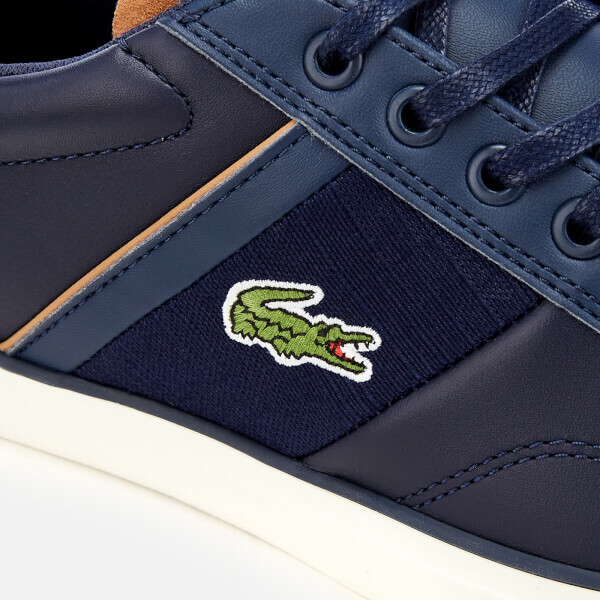 Contrast embossed branding on the tongue and signature croc embroidery on the outer foot complete the sneaker’s sleek design.